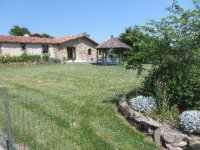 HOLIDAY HOMES TO RENT IN CHARENTE, POITOU-CHARENTES. Welcome to our selection of holiday homes to rent in Charente, France. The departement of Charente in the south-west of France has a number of diverse attractions that should keep even the fussiest of visitors happy. Whether you are a fan of detective movies, fine brandy, comic strips or Roman ruins, you will find something to keep you amused. The pleasant climate means this area is an ideal location to explore the beautiful countryside and scenery, while the Atlantic Ocean is only a short drive away if you want to make your base inland but spend a day or two at the beach. The medieval town of Cognac is most famous for the popular brandy that shares its name, but it is also a pretty and interesting community with narrow, cobbled streets, plenty of tourist accommodation and a great number of bars and restaurants for visitors too. There is a museum dedicated to the drink that made the town famous, teaching visitors how cognac is made and about the history of the brandy industry too. No stay in the region would be complete without a day trip to one of the cognac vineyards that surround the town. Even if you're not a big fan of brandy, Cognac is also home to an annual Detective Festival, held in the town in June each year. Close to the town of Cognac, also located on the picturesque Charente River, is the town of Jarnac, where the former President of France Francois Mitterand was born. Tourists can visit the Francois-Mitterand Donation, a museum dedicated to the life of the statesman and featuring many of the gifts he was given during his time in office. The main town of Angouleme has an attractive old town, including a 12th century cathedral, but its main attraction is the National Comic Strip and Image Centre, an interactive museum dedicated to the French obsession with comic strips and cartoons. There is even an additional museum about paper making and an annual comic strip festival, as well as more frequent comic strip fairs. It is impossible to avoid cartoons wherever you go in the town, as they are often drawn right into the side of buildings! If your taste in art is a bit more traditional, Angouleme also has its own fine art museum. North-east of the town, located in the lush green Charente countryside is the 11th century Rochefoucauld castle. Added to many times over the centuries, the castle's Gothic chapel and spectacular spiral staircase are the most impressive features. Looking for self catering holiday accommodation in Charente? 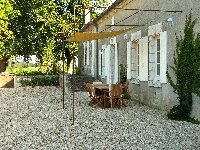 Then below is a selection of gites in Charente and villas in Charente that can be rented direct from their owners. You can either click on each listing for further details or you can use our search engine on the left if you are looking for something in particular.